While dark circles and bags under the eyes might make you look like you’re behind on your sleep, there are other causes. The skin around the eyes is especially thin and delicate. As collagen is lost with age and sun exposure, the tissue thins and blood vessels below the eyes can make the skin appear dark. 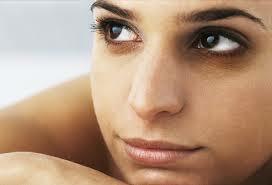 Many people have excess pigmentation under their eyes, which can be further darkened by sun exposure. Under-eye bags are caused by fat pads beneath the skin that descend with normal aging or heredity. Also descending fat pads and lost collagen in the under-eye area can give your eyes a tired and hollow look. Our board-certified Physicians have knowledge and extensive experience to evaluate and determine the cause of your dark circles before treating them.